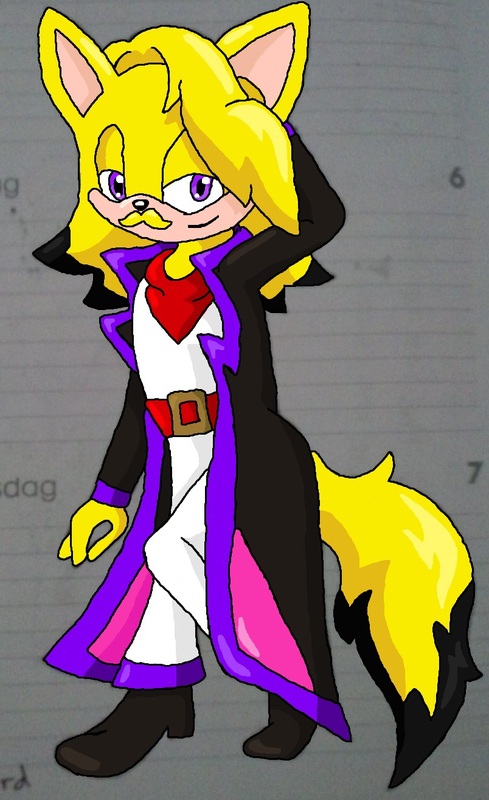 Aro Overlord is a fusion created out of Snowflake Aguri and Fandral the Fox by Dr Eggman. More fusions are made to stop his little old enemy Sonic the Hedgehog. Several fusions went against Eggman during the years and Aro had managed to escape. Aro went to travel around the world and search for a job. He did not wanted to meet the ones he shared his DNA with. He wanted fame. So Aro decided to look all over the world to get a fitting job. This is how he ended up as a model during a trip to Paris, France. A famous magazine needed a replacement for a sick model and Aro passed by. It was his lucky day. More and more people wanted to cast him for photo shoots and eventually they figured out that he could act as well. Later he bought his stallion Etheriel and together they showed up on some front pages as well. And for the fact that Aro doesn't see them that much, he still cares for the other fusions wandering around. He sees them as his brothers and sisters. In other words, he will always care for them. Aro is not sure if he want to meet the ones he got his DNA from, for now he is happy with the life he has and his villa in Spain, the one in France and the one in Italy.